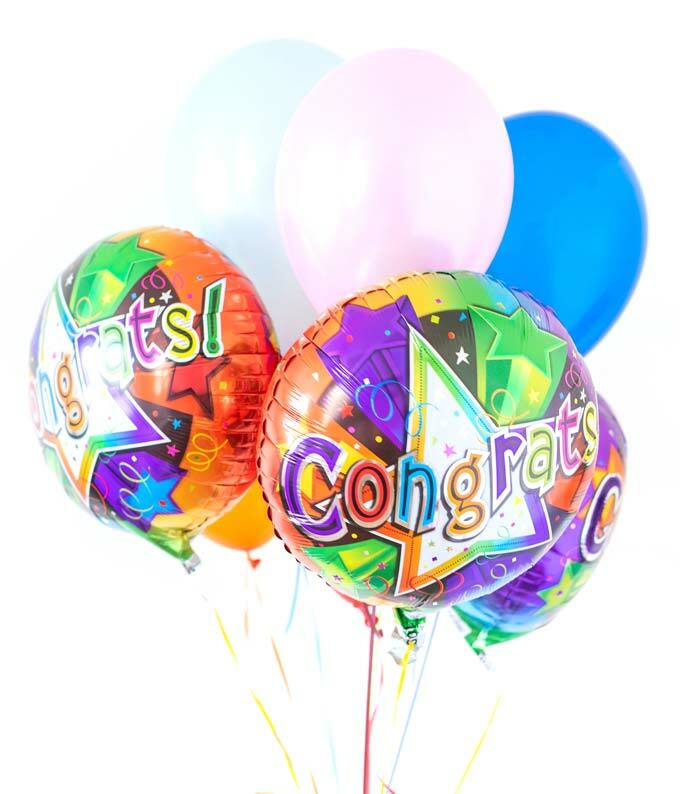 Celebrate a job well done with From You Flowers' congratulations balloon bouquet! Created by a local florist with six congratulations mylar balloons. The perfect gift for a recent graduate, a new baby or for a new job. Whatever the accomplishment you are celebrating, balloons are a wonderful gift to send..